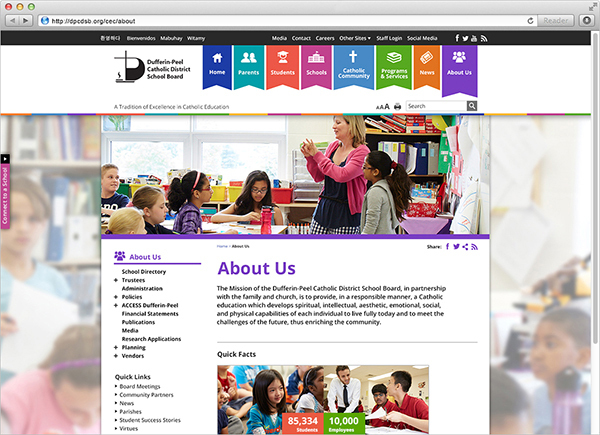 The Dufferin-Peel Catholic District School Board is one of the largest school boards in the country, with 11,000 employees, serving 84,000 students in 149 schools. 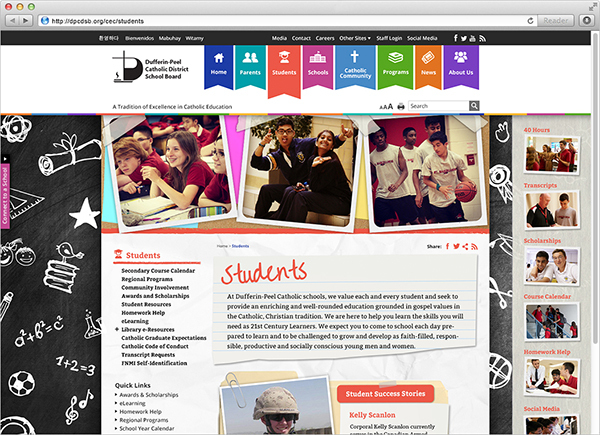 The existing website did not reflect the dynamic nature of the board. It was stretched well beyond its initial intended purpose: content was hard to find, the structure was disorganized, and it looked dated. And it was completely unusable on mobile or tablet devices. Finally, the existing site was not compliant with the Accessibility for Ontarians with Disabilities Act (AODA). We helped set the longer-term web and mobile strategy, and then led the web project from focus groups, to information architecture, to content, to design, to development, to testing, to launch. We worked collaboratively with both the technology and communication departments of the board to bridge expertise and improve knowledge transfer. 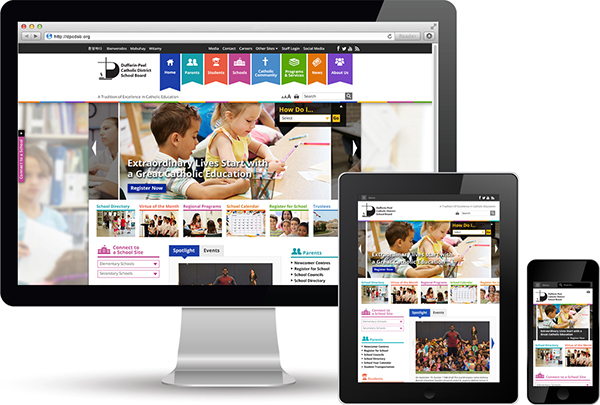 The site is both responsive (accessible on tablets and smartphones), AODA compliant, and reflects the dynamic (and Catholic) nature of the board. We also designed and developed all 149 individual school sites, and facilitated the committee to create (and then write) the board’s Social Media risk mitigation policy. 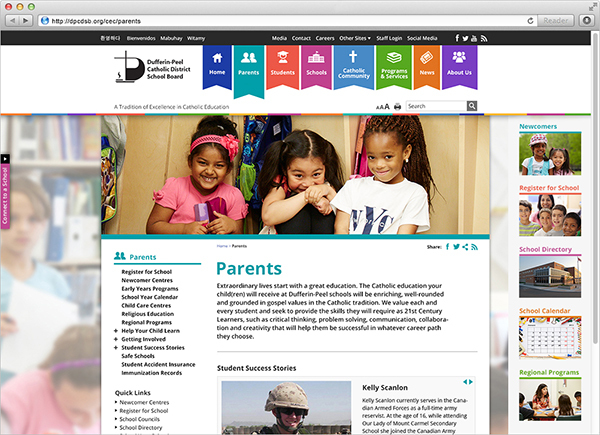 A far more intuitive site that connects the parents, community, the schools, and the Parishes. Improved search engine ranking means all 150 sites are findable: better navigation has improved navigation and site engagement statistics. More importantly, the joint development approach helped deliver significant knowledge transfer from us to the client.